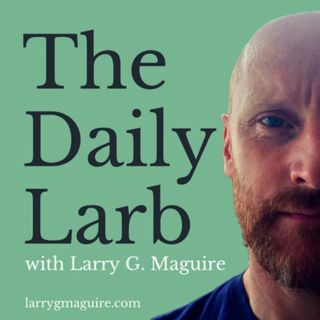 In today's episode of The Daily Larb Podcast I'm fleshing out further an idea I presented to you a couple weeks ago on Sunday Letters. Contemporary wisdom, that of gurus and thought leaders of the modern digital age, will suggest to you and me that ambition and personal success are vital ingredients to a life well lived. Writers like Gary Vaynerchuk, Benjamin P. Hardy and so on, and publications such ... See More as The Mission, Personal Growth and Thrive Global are prolific in their production of material that feeds the insatiable penurious beast that is their readership. Both parties are, we could say, co-operatives in the pursuit of achievement.